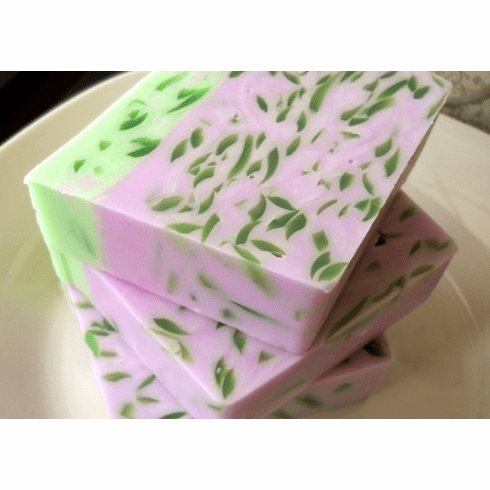 This glycerin soap will take you to an lovely escape of a fragrant lily and lilac garden. It is made with creamy goat milk, cocoa butter, and almond oil for added skin benefits. Weighs approximately 5.5 oz and comes packaged in cellophane, a matching bow, and label.